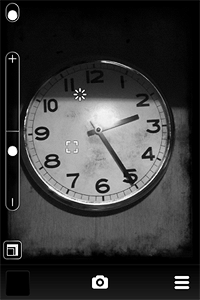 Even though you can now select resolution — still no full resolution for iPhone 4 users — and a few filters were added in version 1.1, the overall quality of the effects seem to be unchanged from the first release. Also, I have experienced a few slowdowns and the app crashed on me a few times, especially after pressing the shutter button and when trying to send higher resolution images via email. Lumière newly introduced effects tested on iPhone. Still, it’s good to see the developer is eager to get feedback from users, therefore I am looking forward to further improvements. This is Nigel the developer of Lumière, glad you like the latest version, but sorry to hear you’re having crashes. We’re working really hard to eliminate all the issues but there are always some that appear when its gets out into the open, would be great if you coud drop us an email with any details. The next rev is getting close to being finished, it has the full resolution support everyone is looking forward too. Thanks for the feedback and hope we can squash a few more of those bugs for the next version. I am sending an email to give you further details. Next post: How Do I Preserve iPhone Battery?